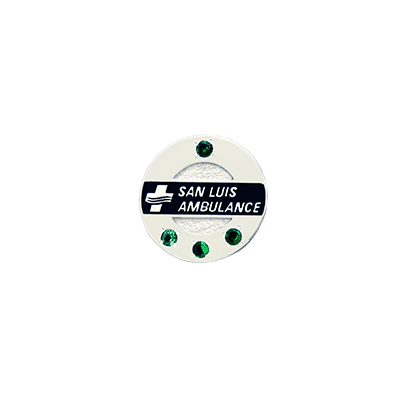 San Luis Ambulance has a mix of part time and full time employees. 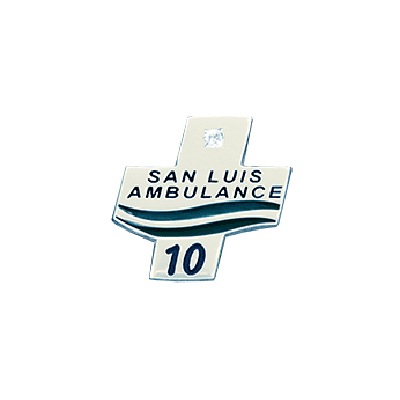 Rather than only recognizing one or the other they worked with Malcolm DeMille to develop two styles of staff pins. 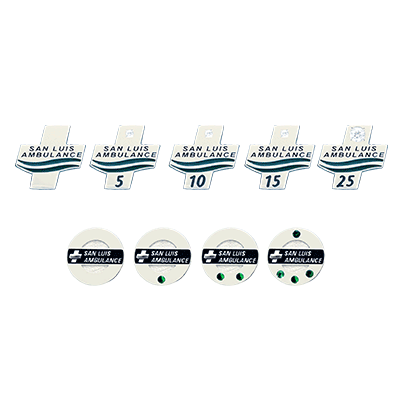 The Polished silver pins feature diamonds for full time workers and emeralds for part time.